DLsite.com is proud to announce you that we are going to hold a booth at Anime Expo 2016 that takes place from 1st to 4th July 2016 at Los Angeles Convention Center, Los Angeles, USA. We will offer a demonstration of the app Nagomi's Earcleaning VR, a free smartphone VR application which was enthusiastically received at a Japanese convention, Niconico Chokaigi 2016. "Nagomi’s Ear-cleaning VR" is a game providing relief for players through virtual ear cleaning. Heal yourself with earcleaning by Nagomi, a cute anime girl in a kimono in a virtual space! With this app, you can meet Nagomi anytime using just a smartphone and earphones. The stereophonic sound feels as if Nagomi is whispering into your ear! The app will be updated to the bilingual version simultaneous with the convention. Visit the [ “Nagomi’s Earcleaning VR” Official Website ] for more details about the app. 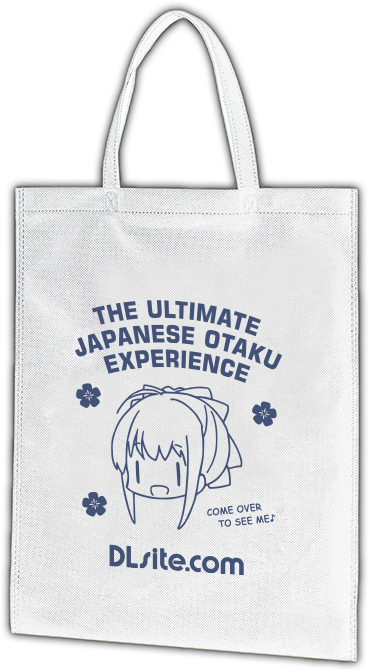 Also, we will be giving away a Nagomimi original cloth bag for the demo participants (limited quantity - come early!). * You must be 13 or older to participate in the demonstration. * We may distribute numbered tickets if there are many applicants on a first-come-first-served basis. Come visit us if you are planning to take a trip to Anime Expo 2016! We will be performing a maintenance from 09:00 a.m. to 10:00 a.m. on June 7th 2016 (Japan Time - UTC+9:00) to update our server system. During this maintenance, DLsite.com may be temporarily unavailable. If a page does not display correctly or your checkout fails, please allow some time and try viewing again.